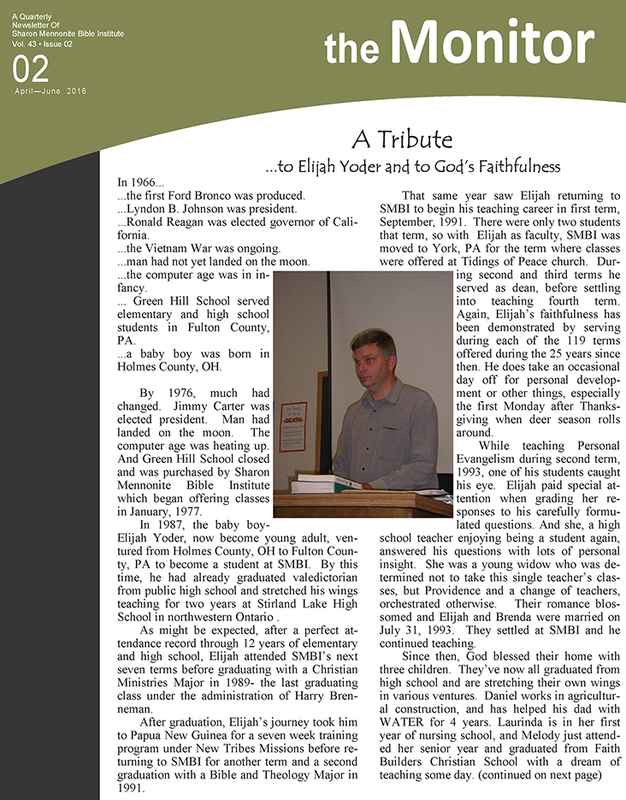 Elijah Yoder has given 25 years of faithful teaching service at SMBI. 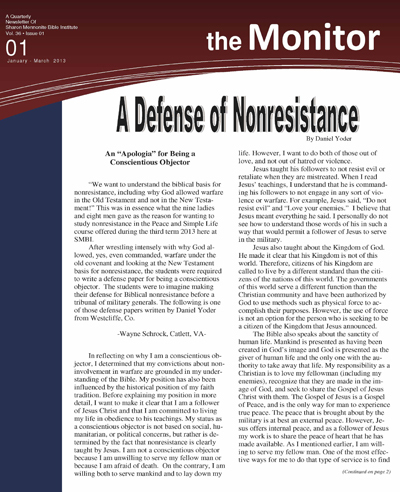 This newsletter offers tribute to the service given by Elijah. Clifford Schrock addresses our tendancy to evaluate in either/or terms what should be isssues of priority. What are the first things we should devote ourselves to? A first-term student reflects on the way God incrementally provides for our spiritual needs. In this newsletter, Clifford Schrock explores the way we receive and impart our legacies. 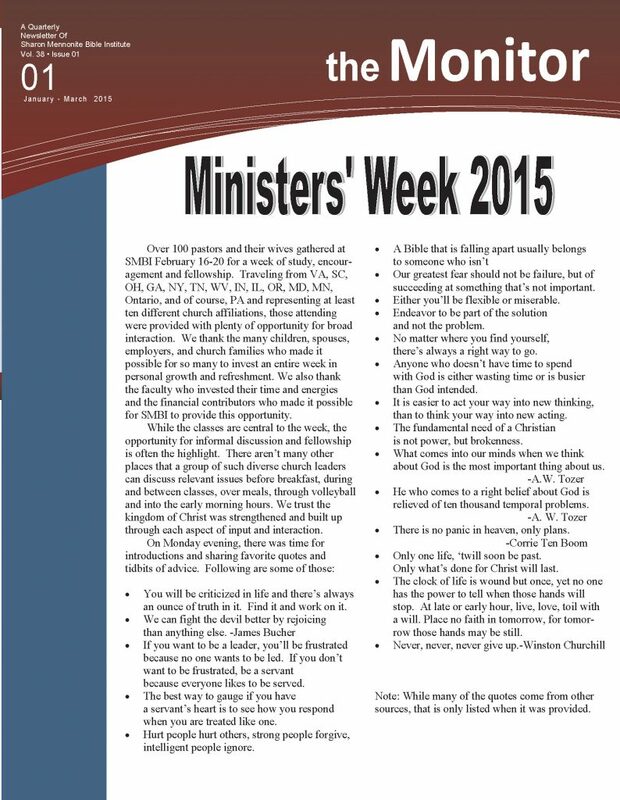 Over 100 pastors and their wives gathered for Ministers Week 2015, hosted at SMBI. The first term enhanced program concluded with a canoe trip. The eleven ladies on the trip learned about community and, in sharing about their theme of Beauty in Brokeness, met God. 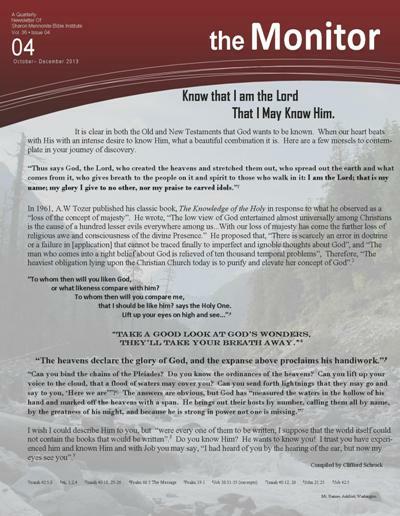 This newsletter features a compilation of quotes, Bible verses, and personal thoughts by Clifford Schrock. Clifford asks, “Do you really know God? Have you experienced Him?” God wants to know and have a personal relationship with you. Participants reflect on experiences during WATER and Family Week. This newsletter also features alumni updates and a calendar of events. 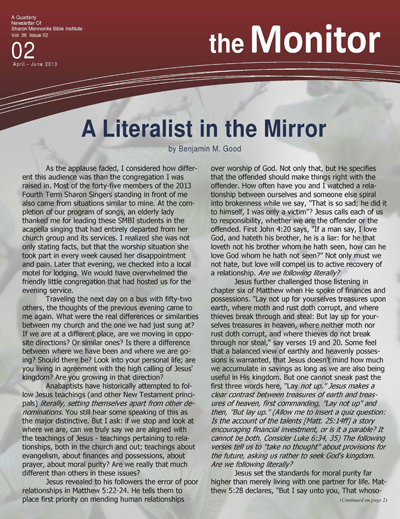 This newsletter features an article written by Daniel Yoder, a student at SMBI, in partial fulfillment of the course requirements of Peace and the Simple Life. 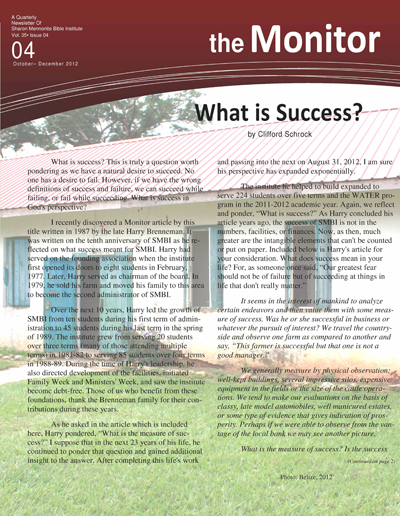 Clifford Schrock reflects on the meaning of success as an overlay to reflection on the history of SMBI.